Read about - Longreach Apex Riverside Park below. There are hot showers available at the CWA building in QANTAS Park just off the highway. Potable water is available at the back of the Visitor Information Centre, Showground and the Kite Street Caravan Day parking area. We also saw a sign in the public toilet block in Swan Street advertising hot showers at the pool - a fee applies. During our stay in Longreach we rode out to the Apex Riverside Park to look around - there is a bike/walking path which is relatively flat, but be warned it can be very hot. During our visit in 2015 this parking area was very dusty and the river was low. In 2016 a different story with heavy rain and vans becoming stuck in the mud - keep an eye on the weather if planning to stay here. 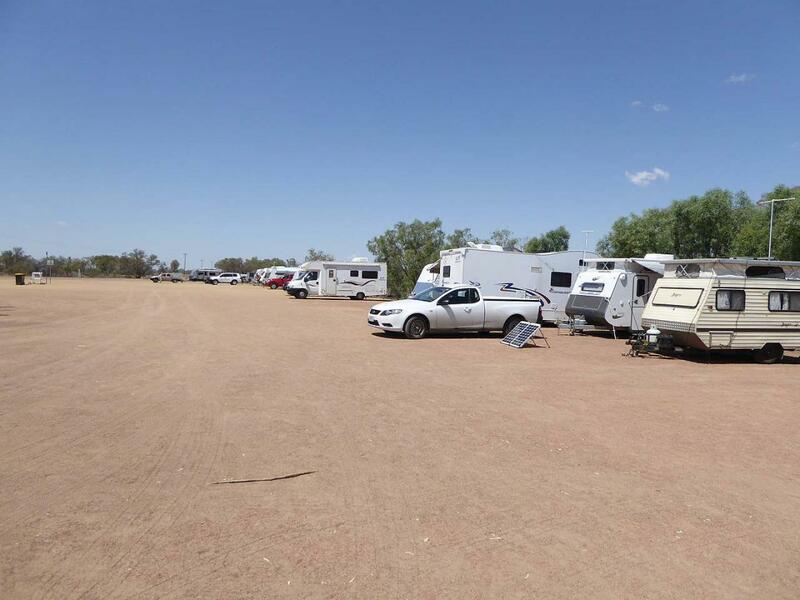 have you been to Longreach Apex Riverside Park? Explore Longreach Apex Riverside Park with RvTrips and find out where to stay, what to do and what to see. Helping caravan, motorhome and camper owners have a great holiday.